While the HOA claims to be the legal enforcing entity in the neighborhood, Florida law states otherwise. The Marketable Record Title Act has effectively voided every covenant and restriction on the properties in Lime Tree Village in Williamsburg. The association still insists there are rules to enforce, and for years they have been lying to unknowing homeowners threatening liens and foreclosure for nonpayment of what amounts to an invalid debt. Would you like to know another way the association has been violating the law? The association loves inventing rules that have no legal basis, like requiring tenants to pay them directly instead of the property homeowner or demanding they have final approval for essential home repairs, such as a roof replacement. One particular invented rule that the association loves to tout is that you must wait until January to leave the association, meaning you must pay them and follow their arbitrary rules for an entire year. How is this a violation of the law? First of all, there are zero covenants, restrictions, rules, regulations, or statutes that state you must be a member and can only withdraw membership at the beginning of one month out of the entire year. You cannot enforce a rule that does not exist. Secondly, even though the association claims they are mandatory, the simple fact that they are telling homeowners that they can leave the association means one thing - the association is telling homeowners that they are indeed a voluntary association. Florida Statutes define a homeowners association "a Florida corporation responsible for the operation of a community... in which membership is a mandatory condition of parcel ownership, and which is authorized to impose assessments that, if unpaid, may become a lien on the parcel." This means that since the association willfully admits to the property owners that membership is voluntary, that they are also not bound to Florida statutes governing HOAS. The law is pretty straight forward. A HOA by definition is a corporation that requires membership and has the authority to impose assessments. 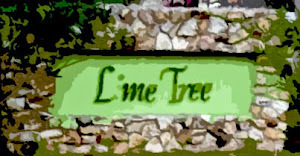 If the association is voluntary, as they admit, then they also by default admit they lack the authority to levy any fines, fees, or assessments because Florida Statute 617, which governs not for profit corporations like Lime Tree Village Community Club Association, Inc. specifically states that only members can be held liable to a corporation. You can withdraw membership at anytime because the Marketable Record Title Act extinguished the covenants and restrictions on each and every property, and as the association willfully admits to members, they are nothing more than a voluntary club that offers certain benefits to their voluntary members, such as yard maintenance and access to a pool.